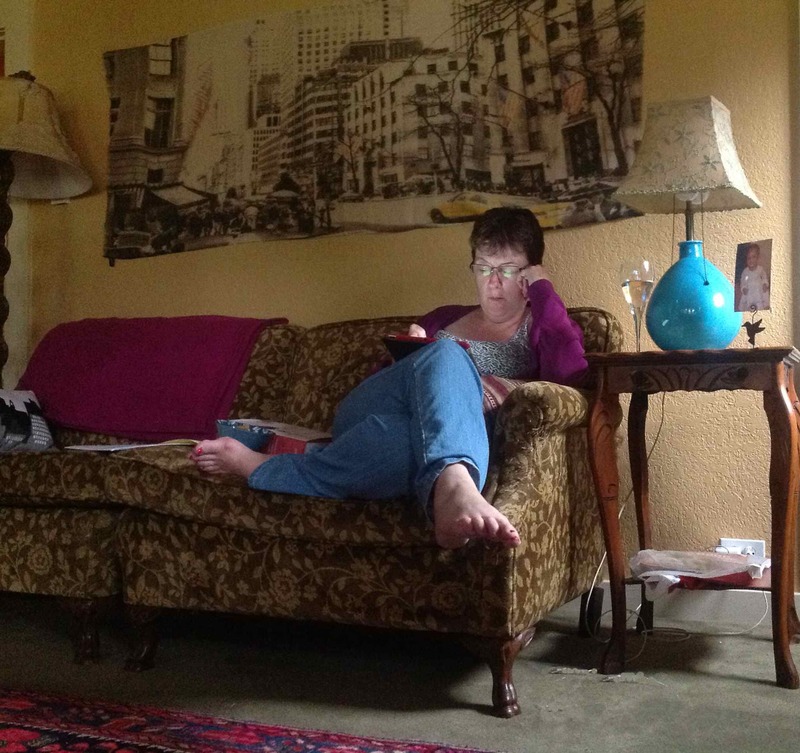 I’m Maureen McCauley, a writer, editor, and artist living in Seattle. I hope this site and blog will be a place for conversation and candor about adoption, family, art, and possibilities for creative change. I’m the mom of four wonderful young people. My sons were babies and my daughters were 6 years old when they were adopted. They are all between 28 and 30. I am also the proud grandmother of an amazing 11-year-old. I spent many years involved with adoption professionally, as the first executive director of the Joint Council on International Services, interim executive director of The Barker Foundation, and executive director of Children’s Home Society and Family Services East. That work helped me understand adoption practice and policy. 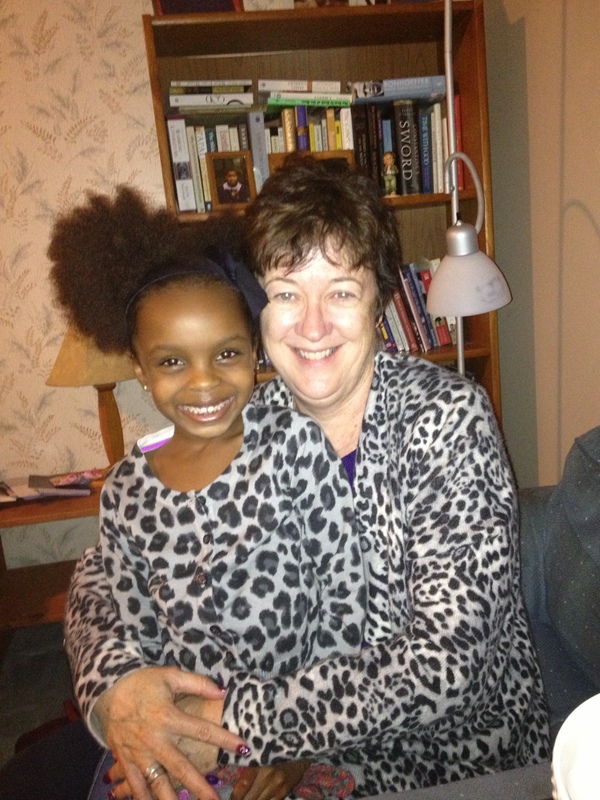 The real life experience of raising four children (via infant adoption, older child adoption, transracial adoption, US adoption, international adoption) plus one “niece” who joined us at 16 years old, helped me understand love, joy, compassion, loss, grief, and hope. I was a contributor to the first on-line adoptee-led, adoptee-centric magazine Gazillion Voices. I am a co-editor of an anthology of essays by Ethiopian adoptees, titled Lions Roaring, Far From Home, which will be available soon. The writers are from 8 countries, and range in age from 9 to 50. Maureen, I found your blog via a news story about the Williams trial and wanted to join others in thanking you for your dedication to the story and to Hana’s legacy. Your blog has also given me much to think about as a prospective adoptive parent; thank you for that and for the many resources you’ve supplied about the adult adoptee perspective. My husband and I really want to make sure we go into this process with eyes wide open, although it’s hard not to become discouraged and overwhelmed when you ask the hard questions. Maureen, several women on a forum I read have offered to contribute to a proper headstone for Hana. Hopefully with her original last name. I’m in the Seattle area as well. I presume you can see my email, if not, just reply and I’ll supply it. I have another idea I’d like to see happen locally to draw attention to the greater issue. Thanks your time to read this. Thanks very much. There is great interest in the headstone to properly honor Hana, including by the Ethiopian Community Center in Seattle and others. I will contact you about this and your other thoughts. Thank you. Maureen, I honored you with the title of “Great Mercy Woman” after a tradition of my college, for all that you’ve done — especially in reporting the Williams trial. Thank you. Cindy, this is an incredible and meaningful honor. Thank you very much. You have a compassionate and generous heart. I deeply admire the profession of nurses, and find the story of your journey powerful. I love that you call yourself “a wild prophet type.” That may be just what the world needs more of, and indeed your hard work in speaking out against the injustice that too many children suffer is so valuable, and so necessary. I also love that you use the image on Under Much Grace of the aurora borealis, a reminder that God can bring us light out of incredible darkness. I chose the name of Light of Day Stories for my blog for similar reasons: we need to tell our stories, and we need the light of day. I am humbled to be in the company of Hermana Linda and Cathy Harris. Surely their voices, along with yours, are bringing hope and the potential for change. What a sisterhood. You are giving voice to the most vulnerable and most invisible among us. What a gift. I am grateful to you, and ask that you keep me in your prayers, as I keep you in mine. I’ve written extensively on my blog about the agency, and will continue to do so. Here’s one post: http://wp.me/p3gRZe-uG. Did they “purchase” the children? I surely hope not. I hope neither child was trafficked. Did they pay fees? I assume so. Did they sign agreements not to use corporal punishment? I don’t know. There’s lots still to be learned. And I’ll keep writing. Thanks, Alexa. I greatly appreciate your following the Williamses’ trial. The questions you raise about the appropriateness of Hana and her brother being allowed to be adopted by the Williamses are extremely important, however, my interest in the case stems from my research on religious child maltreatment. I wrote a book called “Breaking Their Will’ about child abuse and neglect that is enabled by religious belief in the U.S. As you may know, the plumbing line you spoke of, as well as the practice of making the children shower outside with the hose, are advocated by Michael Pearl. He is a Tennessee preacher who wrote a book called “To Train Up a Child, which is very popular among homeschooling conservative Christian adoptive and biological parents. Hana is the third child to die at the hands of followers of Mr. Pearl’s teachings, although there are many more victims who have survived, such as Hana’s brave brother. Janet, thank you so much for this helpful and insightful information. I’d be happy to contribute my ideas in connection with adoption issues–thank you very much for the suggestion. I will follow up with you on this. Hi there from my family! Hi! Sorry I somehow missed your hello, Best wishes to you and your family. Glad we’ve connected here.